German phrase that may be translated as “work liberates” or “work makes one free”. 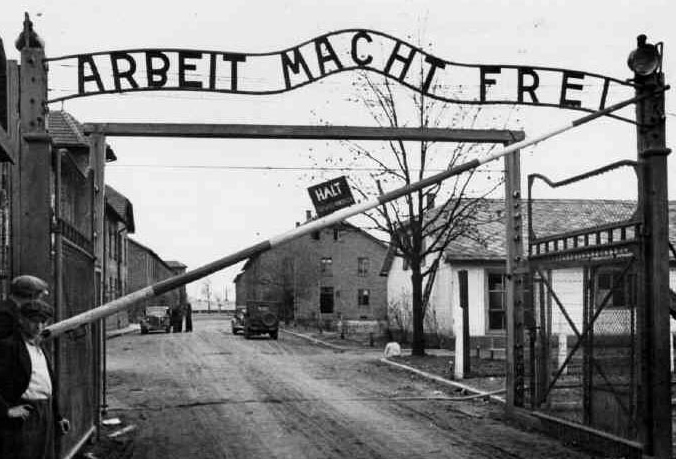 This slogan famously placed at the entrance to Auschwitz, was made by prisoners and erected by the Nazis in June 1940. This slogan greeted entrants to a number of Nazi concentration camps. 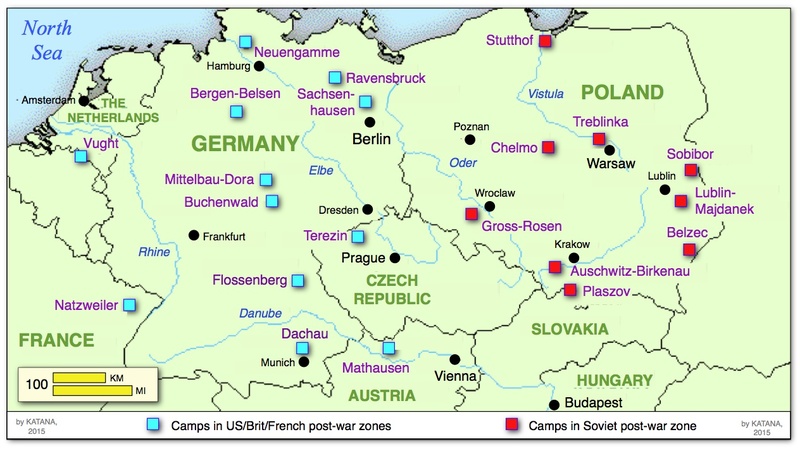 Camp Ravensbruck, just north of Berlin, was the site of Nazi medical experiments on women. 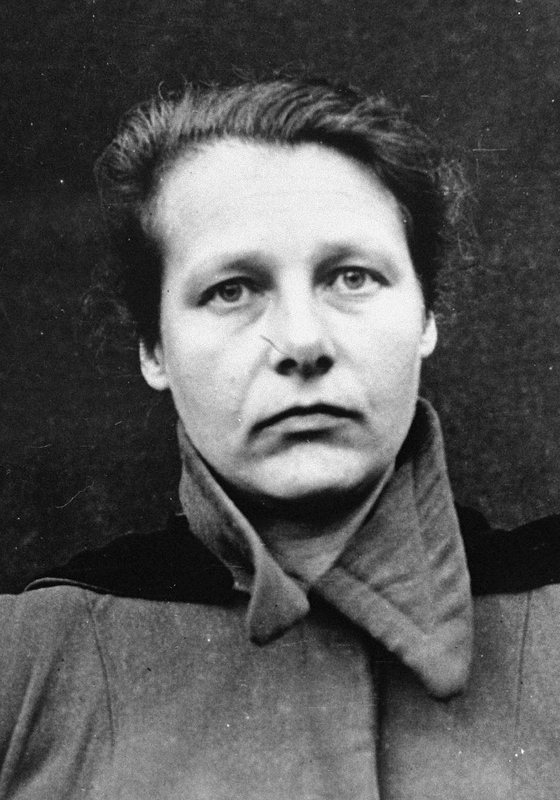 Frau Herta Oberheuser (below) was the only female doctor on trial for war crimes by doctors after WW II. She was sentenced to twenty years, served five, and was tracked by one of her victims when found practicing medicine on women and children. 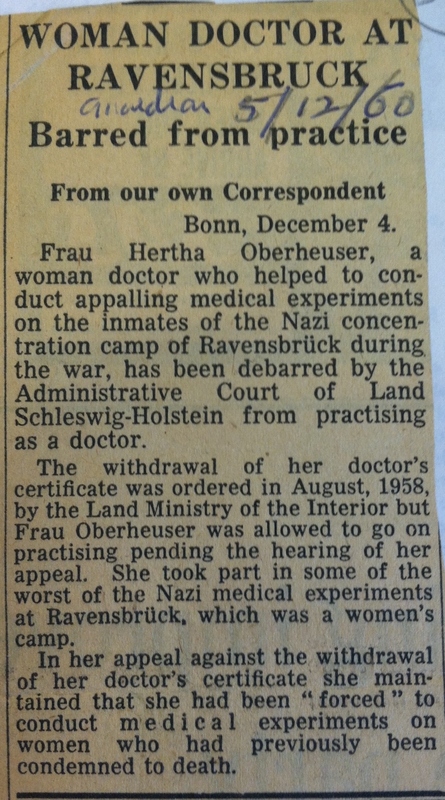 With the aid of British doctors her license was revoked as reported in the article below. 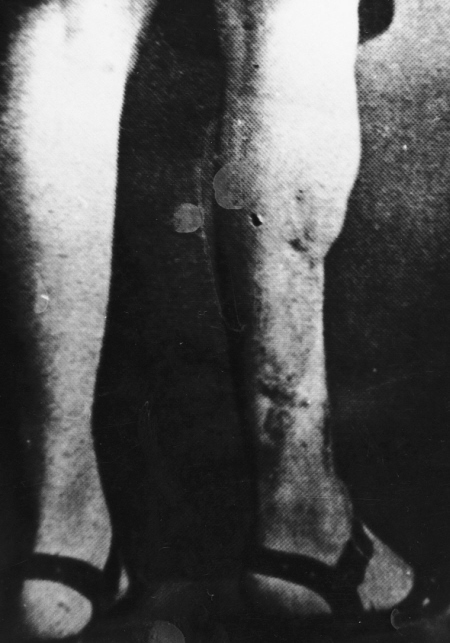 Her victims--called The Rabbits--were 72 Polish Catholic women subjected to various cruel experimental surgeries on their legs. They were called "The Rabbits" because survivors could only hop on one leg after the experiments and also because they were indeed medical lab rabbits. Hyder, Joseph P. "Nuremberg Code (1948)." Biotechnology: In Context, edited by Brenda Wilmoth Lerner and K. Lee Lerner, vol. 2, Gale, 2012, pp. 599-602. In Context Series. 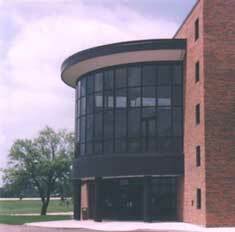 Gale Virtual Reference Library, http://link.galegroup.com/apps/doc/CX4020200182/GVRL.Speech?u=crys82357&sid=GVRL.Speech&xid=c9dc0098. Accessed 5 Feb. 2018. 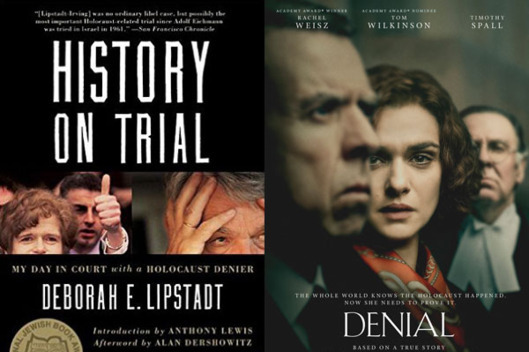 Deborah Lipstadt also wrote the book Denial: Holocaust History on Trial which was the basis of the movie.